Portable power distributor CEE (energy station), BSV 4/32 FS, 2m, IP44, waterproof, Brennenstuhl, 1154900010 Small, industrial workshop energy station CEE with fuses from Brennenstuhl (BSV 4/32 FS) providing reliable and convenient power distribution on construction sites. With RCD circuit breaker 30mA for extra safety. For outdoor use IP44 with oil resistant rubber cable. Made in Germany. Panel box TN-PLS 03332514, 330X250X140MM, IP65 Box for electrical panel for outdoor installation with dimensions 330 x 250 x 140 mm and degree of protection IP65. The board is made of thick PVC material. There is a metal plate and a set of fasteners. Distribution box VT2 215, 200x200x150mm, IP65 Wall mount distribution box with dimensions 200 x 200 x 150 mm and degree of protection IP65. The mounting plate is included in the price. Distribution box VT2 2515, 250x200x150mm, IP65 Wall mount distribution box with dimensions 250 x 200 x 150 mm and degree of potection IP65. The mounting plate is included in the price. 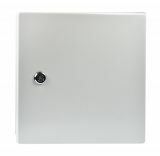 Distribution box VT3 320, 300x300x200mm, waterproof, IP65 Wall mount distribution box with dimensions 300 x 300 x 200 mm with plate IP65. The mounting plate is included in the price. 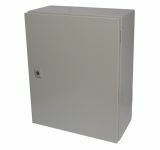 Distribution box ST 520, 500x400x200mm, IP65 Distribution box with dimensions 500 x 400 x 200 mm with plate IP65. The mounting plate is included in the price. List Price 83.90лв. VAT Incl. 79.70лв. VAT Incl. Polyester box VP-440, 400x400x200mm, IP65 Waterproof polyester box 400 x 400 x 200 mm and degree of protection IP65. The distribution box has a metal hinges, metak key lock and metal plate that is included in the price. Polyester box VP-540, 500x400x200mm, IP65 Waterproof polyester box with dimensions 500 x 400 x 200 mm and degree of protection IP65. Intercom panel, 4 buttons Intercom panel, 4 buttons. Mounting Desk MDZ 120x120x200 mm Mounting desk MDZ 120x120x200 mm into thermal insulation.